” They stand in the front row at public beheadings and crucifixions held in Raqqa, the Islamic State’s stronghold in Syria. They’re used for blood transfusions when Islamic State fighters are injured. They are paid to inform on people who are disloyal or speak out against the Islamic State. 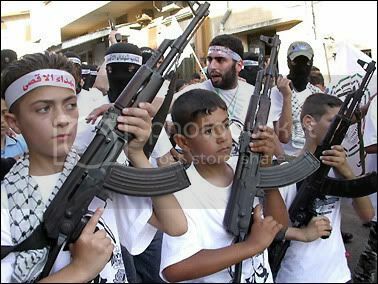 They are trained to become suicide bombers. They are children as young as 6 years old, and they are being transformed into the Islamic State’s soldiers of the future. The young fighters of the Islamic State could pose a particularly dangerous long-term threat because they’re being kept away from their normal schools and instead inculcated with a steady diet of Islamist propaganda designed to dehumanize others and persuade them of the nobility of fighting and dying for their faith. This article from Foreign Policy is a real eye-opener , or should be , if we had some real leadership . Leadership ? What Leadership ? ” Forget the economy, forget education, forget even Obamacare. All politics is local, as Tip O’Neill famously said. And there’s nothing more local than a crazed jihadi aiming an AK-47 at your head and splattering said head against the wall and through the window. As poor as the Democratic choices for president are likely to be , it is doubtful the the candidate put forth by the Republicans will be much better . ” Two suspects in Charlie Hebdo killing have been identified in French town of Dammartin-en-Goele, north of Paris. There are reports of shooting and hostages taken in. A French security official said two suspects in the storming of satirical French newspaper Charlie Hebdo that left 12 people dead have stolen a car and are on the move again. The two, brothers with al-Qaida sympathies, stole a Peugeot on Friday morning in the town of Montagny Sainte Felicite, about 50 kilometers (30 miles) northeast of Paris. Shots were fired. Thousands of French security forces have mobilized to find the brothers after the attack on the Charlie Hebdo offices on Wednesday. Investigators were scrutinizing the recent past of two brothers with al-Qaida sympathies and a place on the US no-fly list as a manhunt for the suspects in the newsroom massacre at a satirical French weekly entered its third day Friday. One brother was convicted of terrorism charges in 2008, and survivors of the bloody assault on Charlie Hebdo said the attackers claimed allegiance to al-Qaida in Yemen. The weekly newspaper had been repeatedly threatened – and its offices were firebombed in 2011 – after spoofing Islam and depicting the Prophet Muhammad in caricature. ” A senior US official said on Thursday the elder Kouachi had traveled to Yemen, although it was unclear whether he was there to join extremist groups like al-Qaida in the Arabian Peninsula, which is based there. The younger brother, Cherif, was convicted of terrorism charges in 2008 for his links to a network sending jihadis to fight American forces in Iraq. Both were also on the US no-fly list, a senior US counterterrorism official said. The American officials also spoke on condition of anonymity because they were not authorized to discuss foreign intelligence publicly. By all means Hollande , tolerance will save the day … I would say that your over-emphasis on “tolerance” is what brought on the deaths of twelve of the citizens your are sworn to protect . ” A 41-year-old Ohio man armed with several knives tried to buy a plane ticket with a fake ID before being gunned down by police after lunging at an officer with a blade outside the Columbus airport, police said. The demands of Muslims in America are spreading more quickly than we can document it. Yet despite the record influx of immigrants and “refugees” from Muslim nations, the population in America is (for now) well below that of Britain. ” Ah, yes, the gap between rich and poor, that old canard is being dusted off and trotted out to avoid the M issue.”Often young people with immigrant backgrounds – who are poorly educated, cannot find work and feel pushed to the edge of society.” There are thousands of non-Muslim immigrants and working class poor who are not burning down the country screaming allahu akbar even though many of them live in the exact same neighborhoods and have the same levels of income. In a country with a reputation for openness, tolerance and a model welfare state, the rioting has exposed a fault-line between a well-off majority and a minority – often young people with immigrant backgrounds – who are poorly educated, cannot find work and feel pushed to the edge of society. Shocker : 96% Most Wanted Terrorists Are Muslim … Who Knew ? ” And the other four percent is a single animal rights activist. I blame Islamophobia for this shameless terrorist profiling. Also reality. Interesting that with all of the obfuscation about domestic terrorism and Christian terrorism and Jewish and Lutheran and Episcopalian and Amish terrorism, 30 of 31 on the list are Muslim. 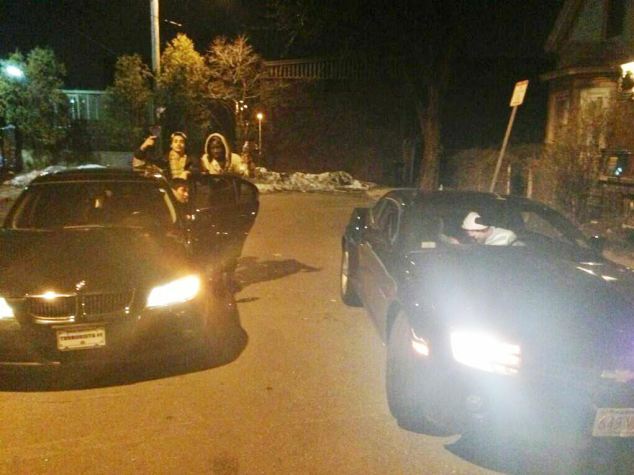 ” The two men who own a BMW with the license plate ‘Terrorista #1’ and who are said to be friends with the younger Boston bombing suspect were taken into custody again on Saturday. This time the two foreign nationals were arrested on immigration violations in the Massachusetts town, New Bedford, where police say the surviving suspect, Dzhokhar Tsarnaev, may have once lived.